This week begins my favorite of all our many firm activities, the GJM Pistol Team and our entry in the Winter Pistol League. 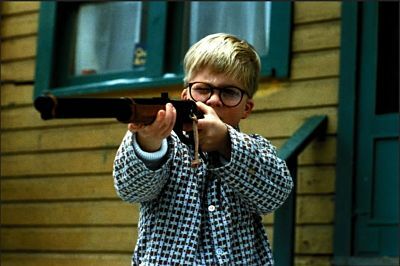 Ever since I was 12 and got my first air rifle (similar to the Daisy Red Ryder pictured here) and my Dad started teaching me the basics of marksmanship, I have loved target shooting. Back then, it was usually shooting tin cans off the backyard fence. One time I used a beer bottle instead, but this makes a terrible mess and is not recommended. Eventually I learned a little bit about real target shooting, got a couple of pistols, and now I’m the Equipment Manager and general Sherpa for the firm’s own pistol team. We’ve been doing this for a while now – this will be the eighth year we’ve fielded a team, and interest and participation in it continue to grow. Team Audit has won the Grand Interdepartmental Championship four times out of the previous seven seasons (including last year), though co-captain Hannah Nowak hails from the Tax group, and has won the individual championship three of the four years she’s participated. Last year 28 different shooters joined us at least once, and by the end of the season we had to turn people away for lack of available roster spots. This got me to thinking, why I and so many accountants enjoy target shooting, and why some of us are pretty good at it. In shooting and in accounting there is a mindset of being able to break a problem down into its components. For a seemingly simple process (point and squeeze! ), target shooting has a lot of little details to it. “Go and shoot bullseyes” is a bit overbroad as coaching goes, but helping a new shooter see that there are separate components of a good shot – sight picture, grip, breath, trigger control, consistency, and finally physical conditioning – is a lot like helping a client understand why operations cash flow isn’t what it could be. The golfers at the firm probably feel the same way about breaking down the parts of their swing – but if you’ve ever seen me golf, all I can say is, sorry you had to see that, and I do better with the shooting at saltines than I do swinging at the little white ball. One of the concepts we like to emphasize in client discussions is continuous improvement – there is a gap between where you are and where you want to be, and it’s usually not possible to bridge that gap in a single stride. So what do we do? Instead of stressing because of the distance to travel, we break the process into more manageable pieces, tackle them in succession, and strive to be making continuous improvements that will get us there eventually. I’m nowhere near where I’d like to be as a shooter, but in the past year I’ve worked on my grip – mainly just how hard to squeeze the pistol, and doing it consistently shot after shot. My breathing and trigger control are finally reasonably good, and I’m looking forward to seeing how this season goes now that I’ve (hopefully) improved my grip consistency as well. Continuous improvement! We all excel in different ways and I appreciate the fact that the firm supports our participation in a sport that’s a little outside the norm for an accounting firm. If we’re honest I probably enjoy the coaching these days more than the shooting itself, harking back to when my Dad taught me the basics of marksmanship when I was 12. So if your son or daughter starts plinking tin cans or crafts a homemade slingshot, just know that it’s harder to shoot out your eye than the movies would have you believe, and that you may have a future accountant on your hands! Gilmore Jasion Mahler’s Ken Sagesse contributed this blog. Ken is a partner in the Assurance Department who joined Gilmore Jasion Mahler in 2006. 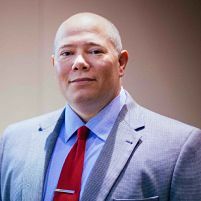 A member of the firm’s Construction and Real Estate Specialist Team, Ken’s area of expertise is affordable housing, though he works with many clients across the construction industry. He is a member of the National Leased Housing Association.